Furniture and accents that complement you, express your personality and make your house YOUR home. Turn your house into your castle with Cleo's Furniture. We have something for everyone in the family. Stylish meets comfort in the Della Linen ottoman. Kick up your feet for a comfortable rest. Comfort provided by our premium BeautyRest seat construction. This lovely collection has curves and style. Sloped track arms that extend to slender, tapered wood legs. Three seat cushions meet three button tufted back cushions. 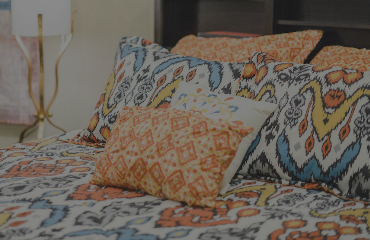 Four oversized pillows to add a splash of color and texture. Add modern and sleek style with the Sugarshack Glacier sofa. This bright, white sofa accented not only beautifully-designed but also well-made! This six piece sectional made by Cheers is made with a beautiful toasted almond leather. Tufted, ultra supportive back cushions and padded leg rests offer the type of quality support a big family needs. Big enough for everyone to sit together and comfortable enough for anyone to relax. For a graceful, bright style add the Anna White Linen sectional to your living room. This sofa is big enough for everyone to enjoy and comes with earth-toned accent pillows. The nailhead trim makes this couch elegant while the plush cushions and back supporting pillows make it the perfect place to relax. The Credo sectional is large scale and easily transitional in a cream colored chenille fabric that is sure to make any room pop. The accent pillows provide a nice neutral color palate. Add the large and luxurious Gene Linen two piece sectional to your home for comfort and style! Your family and guests will love this space as you settle around for a movie or game night. The multi-colored throw pillows really make this sofa shine and the plush cushions make it a cozy spot for anyone to sit relax. The Stoked Capri Chofa is a chair/sofa made for compact spaces like condos, apartments or bedrooms. Tufted back pillows provide comfort and style so that any home big or small can have an elegant look. Don't worry about sacrificing comfort with this chofa! The upholstered seats are cozy and soft for your afternoon relaxation. This ultra plus, faux leather combination with generous accent pillows give this sectional and upscale yet casual feel. Whether you have a large family or like to entertain this sectional is the answer. Two tones of cozy brown make this the perfect sofa for a large living room. The Big Swirl Chocolate Ottoman is a plush, casual ottoman with ultra deep seating design. With thick cushions & luxurious suede-like polyester material this ottoman creates a standout piece that draws the eye and beautifies the home. Best designer furniture from the top brands. 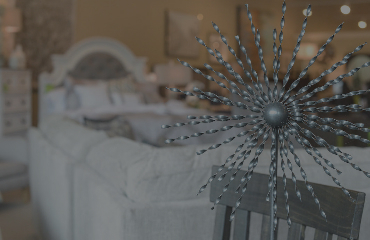 Cleo’s Furniture was founded in 1985 as a one store retailer in Jonesboro, Arkansas. Thirty years later Cleo’s Furniture has fourteen locations. We accredit our success to offering our customers something that no one else does. Find a piece at Cleo’s that you need delivered? No problem! We’ve teamed up with a delivery partner so you can get what you want where you want it. 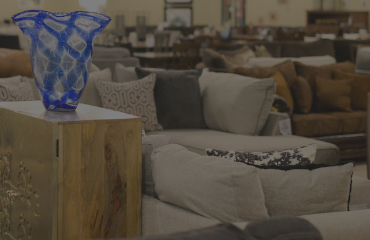 At Cleo’s Furniture, we pride ourselves on quality furniture sold at affordable prices. We are here to make your house a home and give you the look for less. Our customers made us who we are today. We take care of you from start to finish and everywhere in between. Just come see us! You’ll see. We only choose the finest brands to offer you the best value!